As a freelance website developer for the past decade, Matthew has been fortunate enough to work on thousands of projects, including some for the largest companies in Australia and the world. 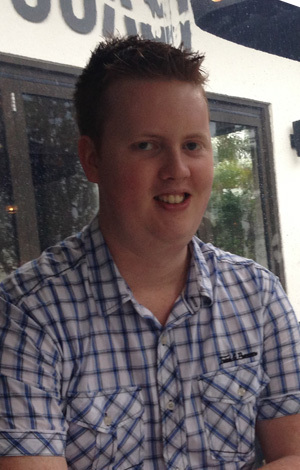 Matt has been developing for WordPress since 2007, later moving to specialise in it. He has been around the block and then some and is intimately aware of all aspects of successful project management, from planning, through to design, and server configuration. An avid traveller Matt has been to 30 countries, all while seamlessly running a full-time business, operating on occasion in timezones opposite to Australia. The experiences and challenges of working while in a foreign land give a tremendous advantage in web development. Matthew fully understands the importance of clear communication and contingency planning to ensure projects go without a hitch. This focus enables successful collaboration with others, taking into account the strengths and weaknesses of different team members. The most common compliment Matthew receives is not for the development itself, but for his ability to combine business objectives, user experience, and a technically sound solution. This creates polished projects that are both visually appealing and provide improved metrics.